The Epiphone 940-EDREAD Dreadnought Hardshell Case is a durable high quality flight case designed to fit Dreadnought-style acoustic guitars. 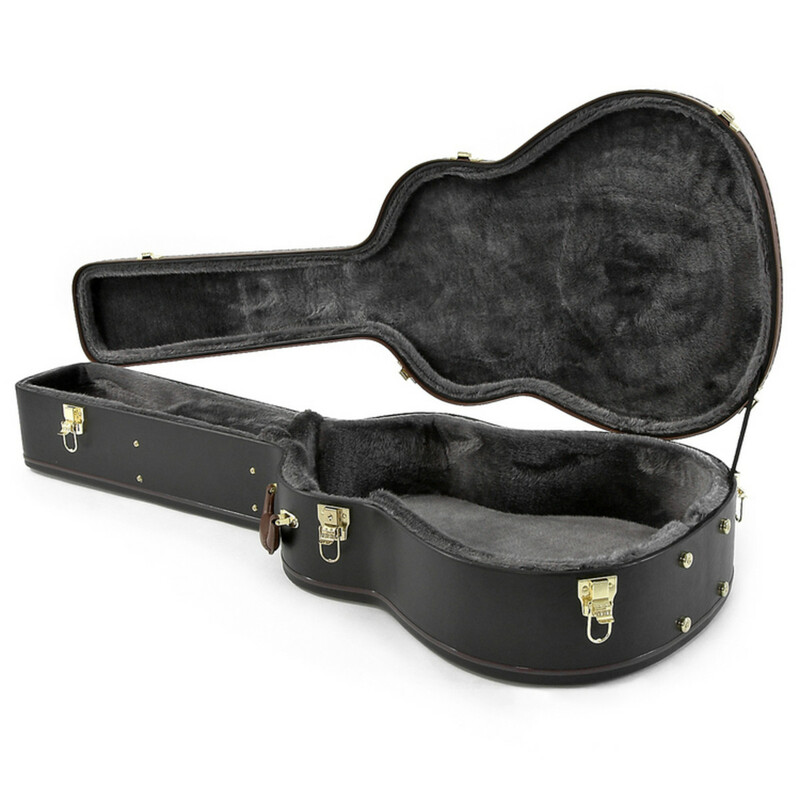 Featuring a sturdy wooden construction with a soft padded interior, this case is built to withstand the rigors of the road while keeping your guitar safe and protected. 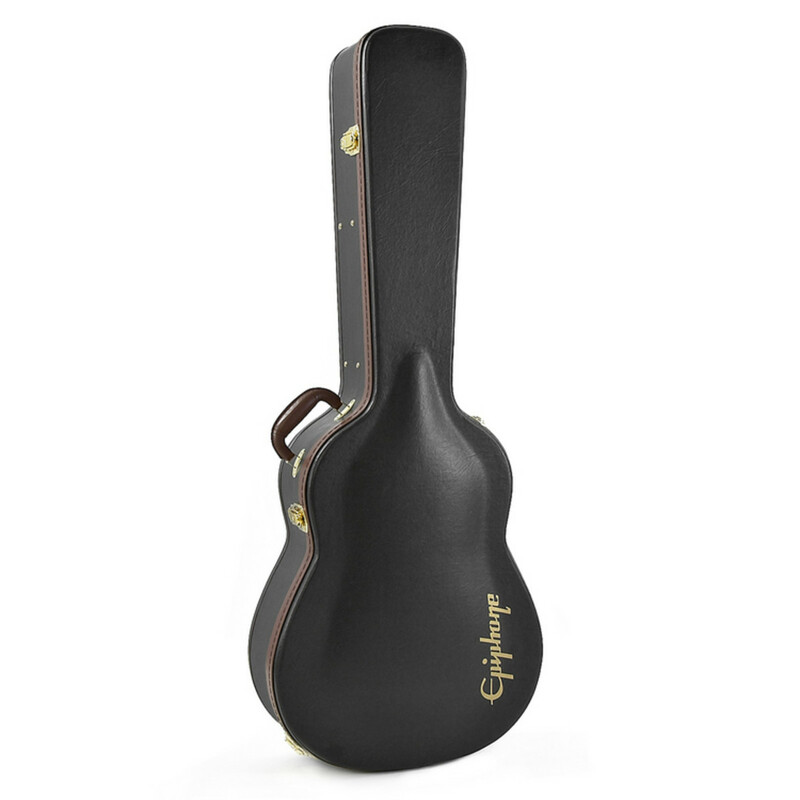 The case also features a tough black Tolex covering decorated with a gold Epiphone logo, along with a heavy duty handle for ease of transport and an interior accessory compartment for storing picks, tuners, spare strings and more. Designed for Dreadnought-style guitars, the case will fit most instruments from Epiphone's AJ and PR series, along with the Hummingbird series guitars. Int Lower Bout Width: 16"
Int Upper Bout Width: 12.25"